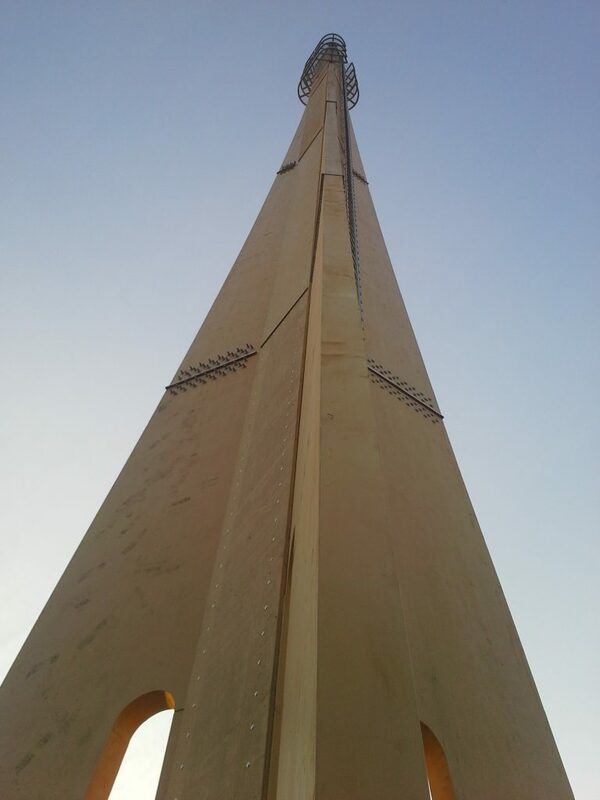 EcoTelligent Ltd has brought a new wooden ECOPOL-telecommunication mast to the market. With its low-carbon life cycle, and an appearance that blends into the landscape it challenges regular steel masts without compromising strength and resistance. The globally increasing usage of and demand for mobile broadband services requires even better and denser base station networks and, consequently, more networks of telecommunication masts. Some of the older telecommunication masts have to be renewed in the next decade as they come to the end of their life cycle. Globally we are talking about millions of telecommunication masts to be built over the next decade. And almost every single one of them is built out of steel. The journey of this steel, from iron ore to the finished steel mast, consumes a lot of our valuable natural resources and pollutes the environment. In practice there have been no alternatives until now. ECOPOL-telecommunication masts are basically built from glued laminated timber and LVL (Laminated Veneer lumber). Compared to steel masts, wooden masts use drastically less valuable resources along with less electrical and heat energy. Thus, a wooden mast is the best choice to reduce carbon dioxide emissions. When the mast comes to the end of its life cycle, the wood can be reused or recycled in the same way the building material of a wooden house is reused. A wooden mast combines also two traditional qualities of the material: warmth and a pleasing appearance. An ECOPOL-telecommunication mast is a free-standing 4-40-metre structure, made of wood, it has all the features of a steel mast, a high loading capacity and a lot of space for the necessary equipment. An ECOPOL-telecommunication mast meets the general standards just like the steel masts do. Even though the mast has been designed especially as a base station of a mobile communication network, its various other applications include light and advertising pylons, other radio networks or combinations of these. For example, one mast can hold four operators’ base station equipment. The mast is hollow in the middle, so every cable needed can be placed inside along with junction boxes and other small devices so they will be safe from the weather and vandalism. This way the mast remains sleek in appearance and the wooden aesthetics is enhanced. The mast’s rotation angle is half a degree, and installation work is made easier by an externally mounted ladder. On the top, there is an installation platform that goes around the mast. So the structure of the mast is not just ecologic, but also aesthetic and practical. Finnish wood and telecommunication knowhow as raw materials. 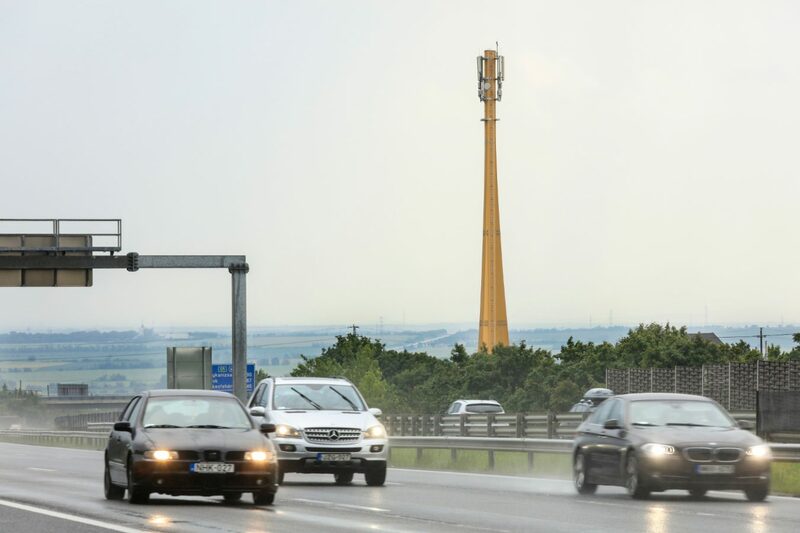 The story of the ECOPOL-telecommunication masts takes us to Hungary, where the idea of a wooden and more natural looking mast was born a few years ago. The first masts were erected in Central Europe, after which, in search of further refining and wood industry expertise, the innovation was transferred to Finland in 2017. EcoTelligent Ltd’s object is to use as much Finnish wood as possible in ECOPOL-telecommunication masts so the possible economic benefits and employment stay in Finland. EcoTelligent Ltd also puts effort into development of new products and is currently developing the next generation 5G-ready smart masts. The objective is to build a mast that can corporate not only all the telecommunication technology, but also the required smart devices, such as smart lights, surveillance cameras, or even a charging spot for an electric bike or a car. The Finnish wood and telecommunication knowhow has been essential in the development work. Gyöngyi Mátray, managing director. EcoTelligent Ltd.
Juha-Pekka Juutinen, the writer of the article, one of ecotelligent Ltd’s founders. EcoTelligent Ltd. plans and produces ecological and wooden telecommunication masts and develops the next generation’s smartmasts for city usage, for example for future 5G-technology. The company was established in 2017. Its domicile is the municipality of Liperi.